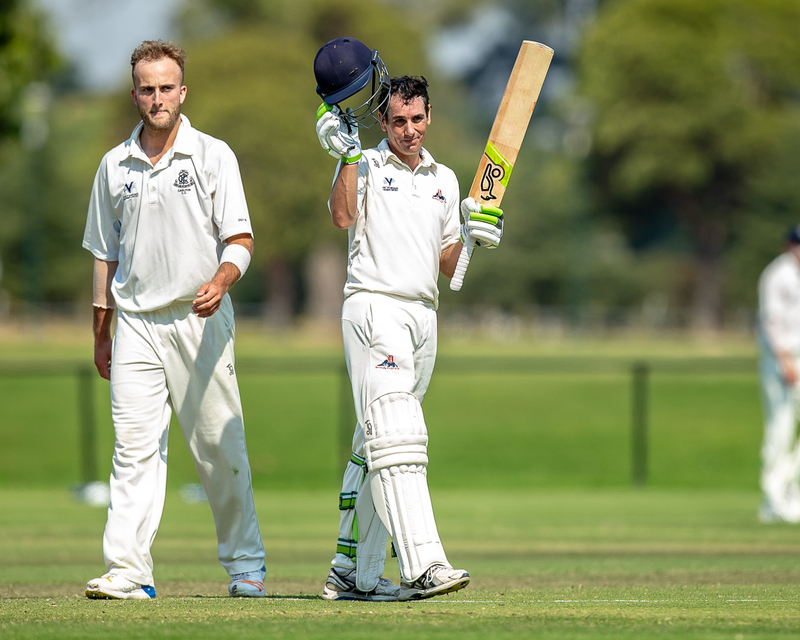 Dandenong skipper Tom Donnell starred last weekend with 152 against Carlton. Will he be able to repeat his effort in the Grand Final rematch against Fitzroy Doncaster to book a spot in the Preliminary Final? The completion of Week 1 of the Finals saw a wide range of results. With the new Finals System in place for the Men’s 1st XI competition, Carlton and Geelong have both earnt the weekend off as a reward for their results in last weekend’s Qualifying Finals, while the Finals campaigns of both the Camberwell Magpies and St Kilda came to an end at the hands of Fitzroy Doncaster and the Monash Tigers respectively in the Elimination Finals. Geelong also progressed to the Preliminary Final after upsetting Essendon at Windy Hill in Qualifying Final #2. The Cats were shaky early but with Hayden Butterworth (73), Josh McDonald (57) and Tim Ludeman (43) all capitalizing on starts against Matt Doric (4/40) and Liam Bowe (3/85) the Cats reached 273. In reply, James Seymour (50) and Aaron Shellie (46) threatened to take the game away from the Cats, but 2012/13 Ryder Medalist Brenton McDonald (5/76) and Dom McGlinchey (3/36) had the final say as the Cats dismissed the Bombers for 211 to book their spot in the Prelim. 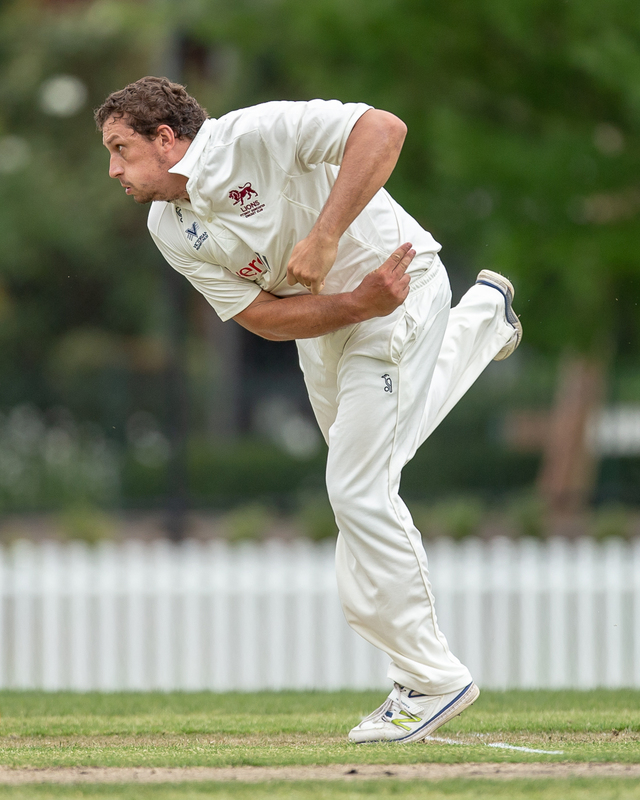 In Elimination Final #1, Fitzroy Doncaster hung on to pinch a 1-wicket victory in a nail-biter at Schramms Reserve against the Camberwell Magpies. The Magpies batted first and made 219 off the back of Simon Hill (58) and Ben Rowles (44), while last season’s Ryder Medalist Trent Lawford (3/41) was the pick of the Lions’ attack. In reply, Peter Dickson (49) and Jack Rudd (48) kept the Lions in with a sniff against Magpies’ skipper Andrew Fekete (5/73) but when Nick Fletcher was dismissed the Lions required 10 to win with 1 wicket in hand. Number 11 Chris Moore (10*) and Sam Elliott (9*) saw the Lions home in a thriller with Moore the match-winner with the willow. In Elimination Final #2 at Casey Fields, the Monash Tigers capitalized on their recent momentum into the Finals to dismantle St Kilda. The Tigers batted first and skipper Dan Sartori (124) led the way with the bat with support from Marcus Berryman (47) to help the Tigers to a total of 275 against the bowling of upcoming spinner Todd Murphy (6/50) and Jonathan Merlo (2/49). In reply, the Saints innings was on the back foot when they collapsed to 3/17 and other partnerships were hit-and-miss during the innings. Daniel Meddings (38) and Jonathan Merlo (30) were the only batsman past 22 as the Saints collapsed to the bowling of Marcus Berryman (6/38) and Mitch Perry (2/26) to be dismissed for 154. Semi Final #1 will see a rematch of last season’s Grand Final, with Dandenong taking on Fitzroy Doncaster at the Camberwell Sports Ground. 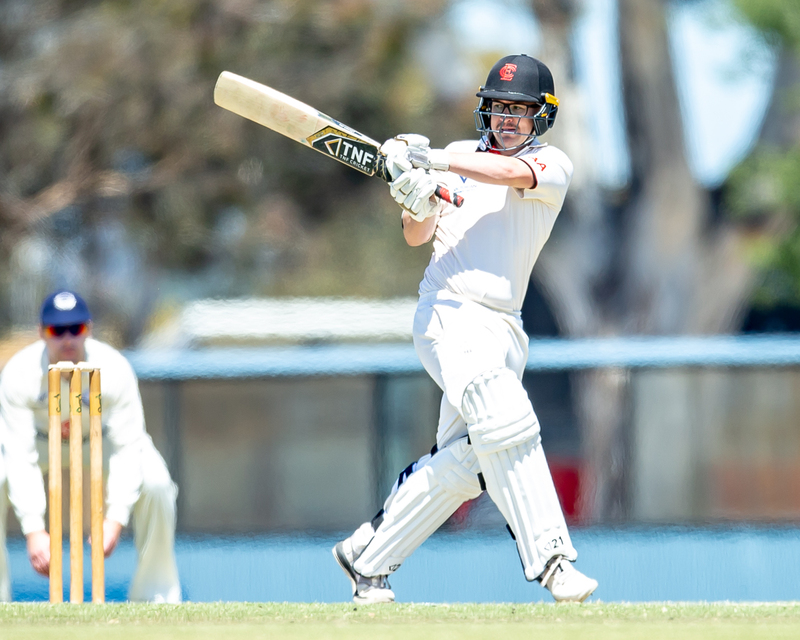 The Lions will be playing with incentive as wicket keeper Liam Banthorpe will play his 100th Premier 1st XI match but may miss Andrew Perrin again after withdrawing in the warm-ups in last weekend’s thriller over the Camberwell Magpies. The Panthers are not guaranteed of James Wilcock due to injury due to a strained hamstring but if he is deemed fit to play he will also play his 100th Premier 1st XI match. These sides last met in Round 12 (26th January & 2nd February) with the Panthers coming out on top at Shepley Oval. The big match-up in this do-or-die clash will be between Dandenong’s in-form opening duo Brett Forsyth (982 runs @ 75.54) and skipper Tom Donnell (727 runs @ 45.44) against last season’s Ryder Medalist Trent Lawford (39 wickets @ 18.79), up-and-comer Sam Elliott (24 wickets @ 25.33), Chris Moore (23 wickets @ 23.09) and Lions’ skipper Ejaaz Alavi (20 wickets @ 27.60). If the Lions get through this strong opening pair then they will still need to get through James Nanopoulos (455 runs @ 50.56) to keep the Panthers to a score that is gettable. For the Lions, Jack Rudd (526 runs @ 32.88) has stood up this season at the top of the order while evergreen Peter Dickson (413 runs @ 37.55), Nat Vardi (405 runs @ 27.00) and Noah Korkolis (378 runs @ 34.36) have also been consistent and will need to capitalize on the Panthers attack led by Nanopoulos (29 wickets @ 19.28), Akshat Buch (23 wickets @ 31.09), James Wilcock (if fit – 18 wickets @ 22.94), Jakeb Thomas (15 wickets @ 37.27) and Peter Cassidy (12 wickets @ 28.75). While the Lions may have more consistency across the board, based on recent form the Panthers will have the advantage after winning their last 5 games (compared to the Lions winning 2 of their last 6) but expect this one to be fought tooth-and-nail to the last ball. Who will reach the exclusive 1,000 runs in a Premier season first? Brett Forsyth (Dandenong - left) or Aaron Ayre (Essendon - right)? Semi Final #2 will see Essendon take on the Monash Tigers at Windy Hill. The Bombers will be keen to rebound hard after being outplayed by Geelong last weekend at Windy Hill to break their run of 6 consecutive wins, while the Tigers will be coming into the game with confidence after ending St Kilda’s chances in a dominant display at Casey Fields #4. The last time these two sides met was in Round 15, with the Bombers taking the points after making 384 batting first at Central Reserve North. For the Bombers, the batting card has been led strongly by the ‘big three’ of Aaron Ayre (949 runs @ 59.31), James Seymour (827 runs @ 51.69) and Michael Hill (668 runs @ 60.73). There has also been support from Aaron Shellie (286 runs @ 35.75), Isaac Willett (346 runs @ 34.60) and Justin Galeotti (281 runs @ 56.20) to help the Bombers to achieve some large totals across the season. With the ball, quick Matt Doric (39 wickets @ 22.95) is the lynchpin with support from spinners Seymour (22 wickets @ 26.91) and Liam Bowe (20 wickets @ 41.70). The lack of form from another quick is of some concern and may be an incentive for the Bombers’ leaders to have them fire up. For the Tigers, the batting has largely fell on the shoulders of skipper Dan Sartori (616 runs @ 36.24), with support from Jake Fraser-McGurk (409 runs @ 34.08), keeper Scott Edwards (355 runs @ 27.31) and opener Campbell Vadlja (307 runs @ 76.75). 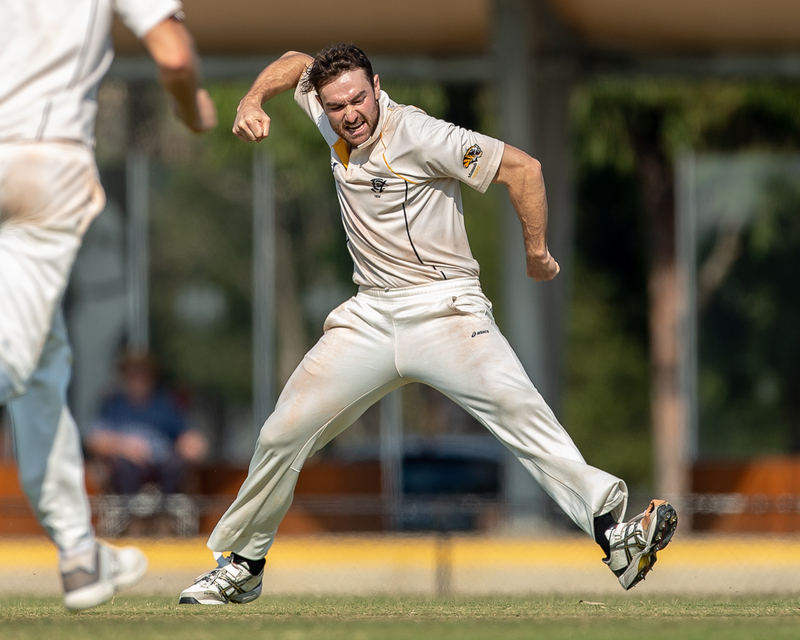 With the ball, the Tigers have far more depth at hand with Blade Baxter (29 wickets @ 18.76), Marcus Berryman (26 wickets @ 24.62), Dominic Matarazzo (21 wickets @ 13.95), Thomas O’Connell (19 wickets @ 33.95) and Mitch Perry (14 wickets @ 23.21) all capable of chipping in for wickets. Based on recent form and the strength of the two sides, the Bombers will have the advantage with the form of their top and middle order and would appear to go in as favourites into this match, but I would not discount the Tigers if they can keep the Bombers to a score of around 200. Matthew Brown (Melbourne) scored his 4,500th Premier 1st XI run during his 2nd innings of 16 against Prahran. Thomas Russ (Camberwell Magpies) scored his 3,000th Premier 1st XI run during his innings of 33 against Carlton. Mark Phelan (Northcote) scored his 3,000th Premier 1st XI run during his innings of 75 against Melbourne University. Matthew Underwood (Footscray) scored his 1,500th Premier 1st XI run during his innings of 28 against the Greenvale Kangaroos. Jacob Serry (Prahran) scored his 1,000th Premier 1st XI run during his 1st innings of 18 against Melbourne. Shorye Chopra (Kingston Hawthorn) scored his 1,000th Premier 1st XI run during his innings of 38 against Dandenong. Akshat Buch (Dandenong) took his 50th Premier 1st XI wicket when he dismissed Kingston Hawthorn’s Lyle D’Rozario LBW. Wes Agar (Melbourne University) took his 50th Premier 1st XI wicket when he dismissed Northcote captain Blayde Baker bowled. Ed O’Sullivan (Carlton) took his 50th Premier 1st XI wicket when he dismissed the Camberwell Magpies’ James Rosewarne bowled. Kieran Elliott (Melbourne) took his 50th Premier 1st XI wicket when he dismissed Prahran’s Stephen Seymour bowled in their 1st Innings. Josh McDonald (Geelong) took his 100th Premier 1st XI catch when he caught Will Crowder off the bowling of Brenton McDonald. Umpire Darrell Holt (Umpire 1st XI Cap #251) umpired his 650th Premier match in the Men’s 2nd XI Elimination Final between Essendon and the Monash Tigers. 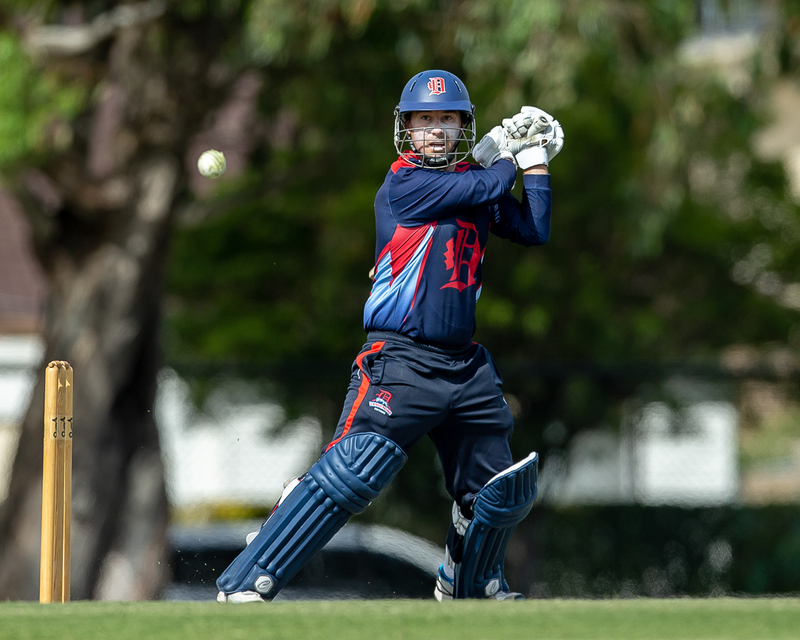 Jacques Augustin (Dandenong) played his 150th Premier 1st XI match against Carlton in the Qualifying Final. Augustin made his debut for Fitzroy Doncaster in the 2008/09 season and played 95 matches with the Lions before swapping to the Panthers prior to the start of the 2016/17 season, where he has now played 55 matches. At the time of writing, Augustin has made 1,068 runs (with 1 century) and taken 197 catches and 23 stumpings. Aaron Shellie (Essendon) took his 50th Premier 1st XI catch when he caught Brenton McDonald off the bowling of Matt Doric. Eamonn Vines (Geelong) took his 50th Premier 1st XI catch when he caught Michael Hill off the bowling of Dom McGlinchey.